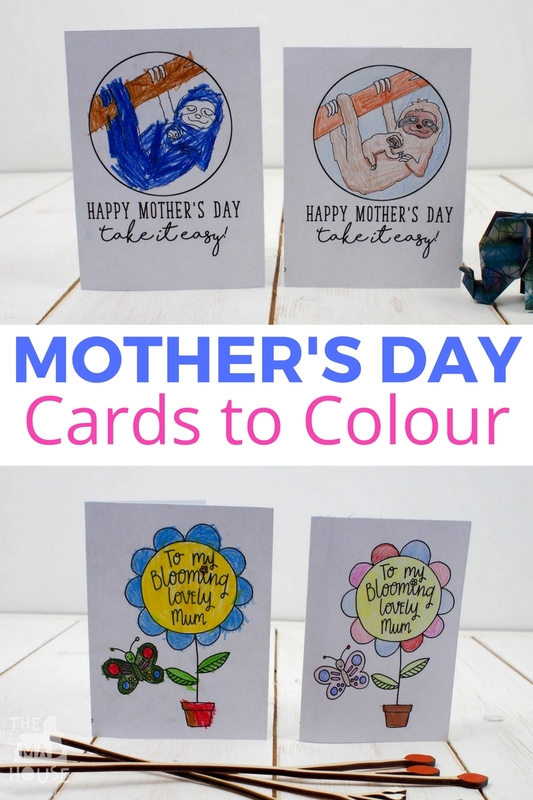 here really is nothing I like better than a homemade Mother’s Day card, but as my boys are getting older they are less likely to get out the glue and just make me a card, so I have teamed up with the talented LeslieAnn to bring you two delightful free printable Mother’s Day cards to colour. I totally adore the two unique designs that LeslieAnn came up with after my brief. 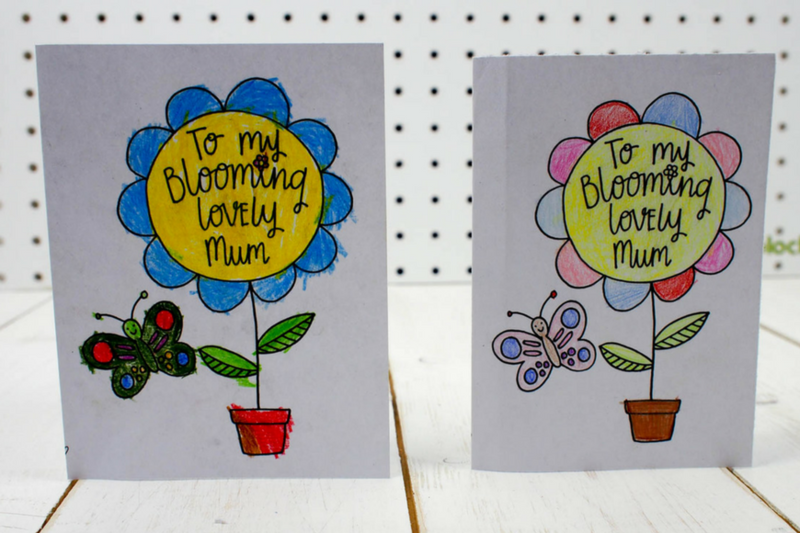 A simple flower card and a super sloth card. For anyone that knows me, I totally adore sloths, they are my spirit animal and I think they should be the next big thing! 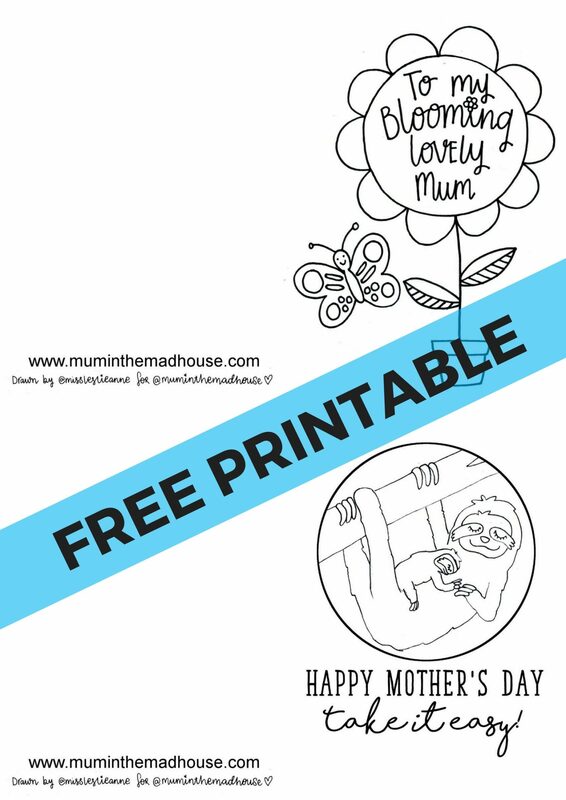 What I love about these free printable Mother’s Day cards to colour are they are suitable for kids of all ages (and adults too). To show you that these are coloured by maxi aged 12 and my best friends youngest aged five. I love how different and beautiful they both are. they coloured them independently and both had lots of fun doing so. 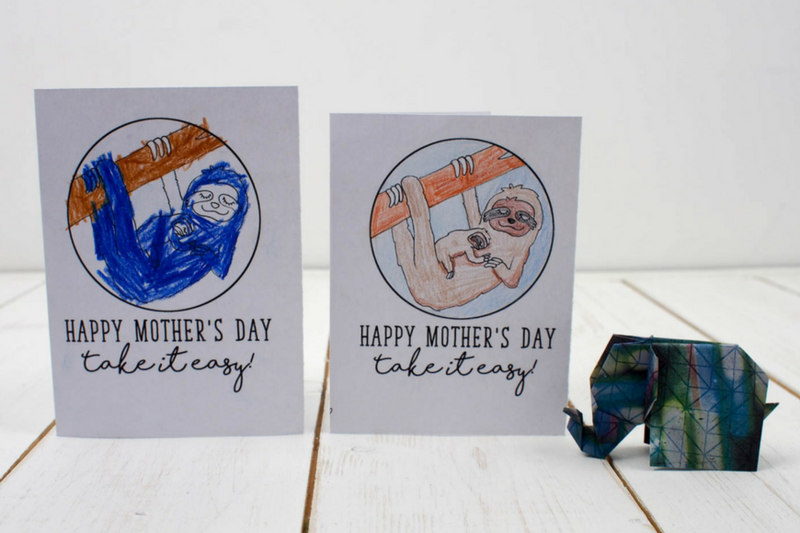 Also, who wouldn’t want to receive a blue sloth Mother’s Day card? All the cards are so lovely and unique. 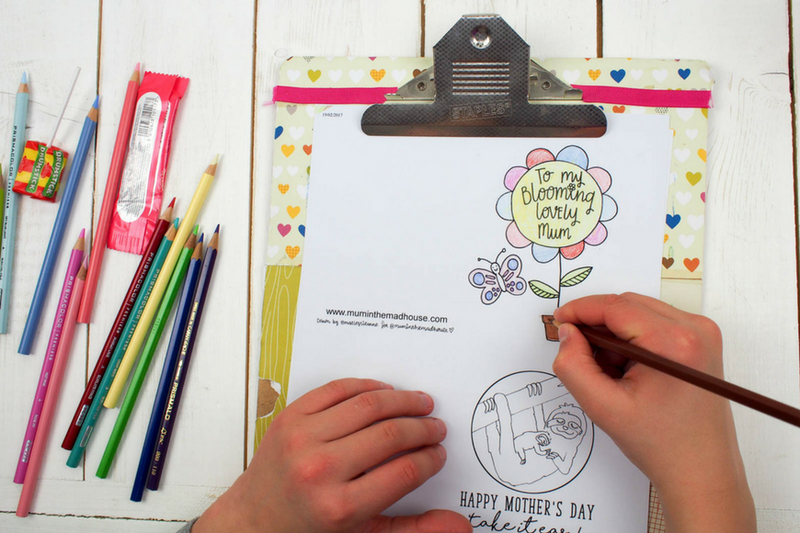 The children loved colouring them and I bet any Mum would love to find one of these on their pillow on Mother’s Day morning. The cards are A5 sized, so you get two on one A4 sheet. *To save to your computer, just click on the link above to open the colouring page. Then right click to save to your computer. 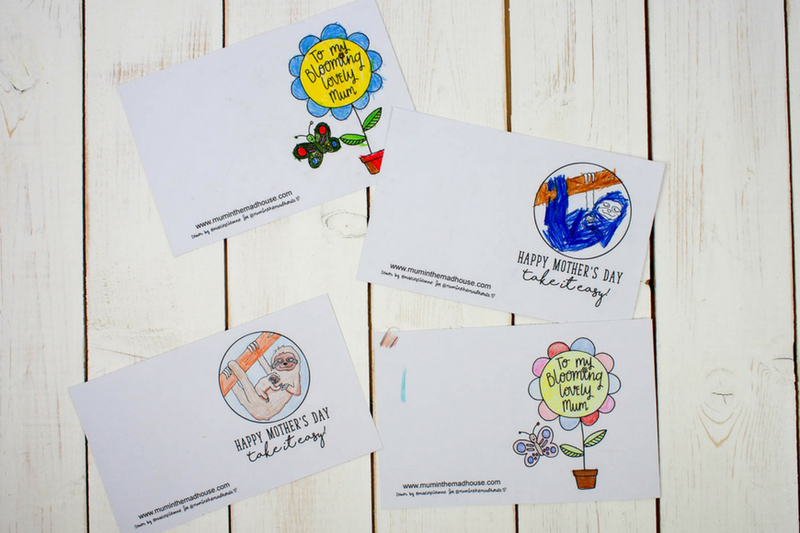 Note: These prints and designs are copyrighted and for personal use only, please! 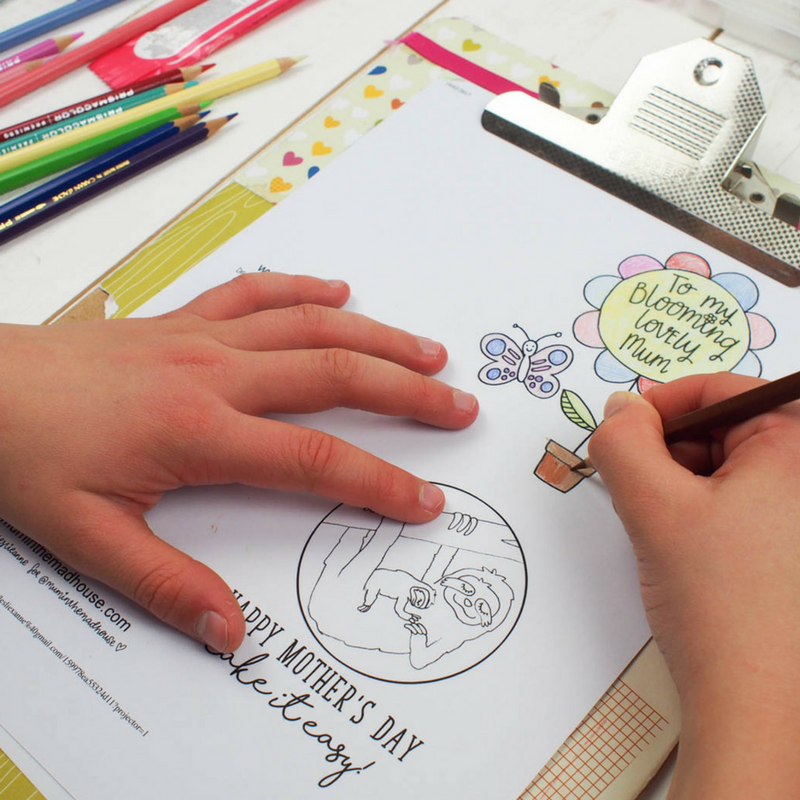 We would love to see your versions of the Mother’s Day cards, so please do share them with us on Instagram, Facebook or Twitter. These are mine and the MiniMad’s suggestions to you. Our tried and tested favourites. 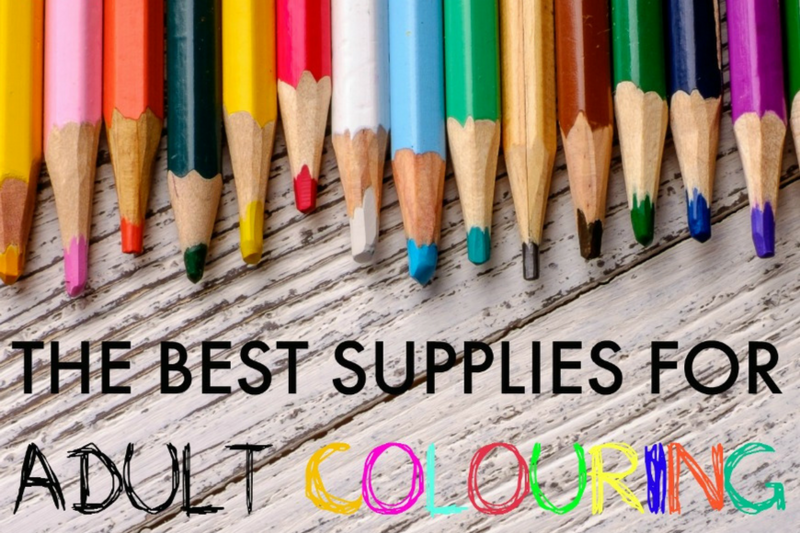 When I first started colouring I just pinched the boy’s products, which is why adult colouring is so accessible and over the period of a year I now have my own supplies! 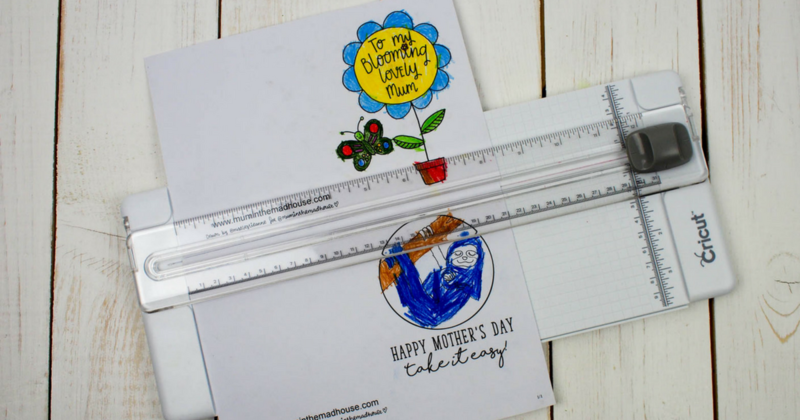 We are currently loving using Staedtler Triplus colour pens (UK Link/US Link) – they do not bleed through the paper, which is great for adults and kids and they are really bright. Plus you can get different nib sizes (UK LInk/US Link), my niece has the 3mm nib ones (I bought her them for Christmas and she adores them). I also love the way they stand up in the packaging, so you can see the colours. For a more inexpensive pen, we like the BIC kids coloring pens. These are great with minimal bleed through the paper and last for ages if you forget to put the lid back on (yes I am guilty of this)! (UK Link/US Link). Again we have two distinct favourites. One high quality and the other medium. Staedtler Ergosoft pencils are great value. They are soft and blendable and last really well. These are our go to pencils for pretty much everything (UK Link/US Link), they are not paying me to say this – honest! These are the pencils that the boys use for all their work and colouring too. 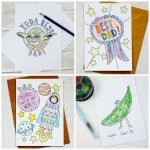 As you are printing off these pages you can control the quality of the paper and unlike colouring books that you buy, you can print one sided (whoop). 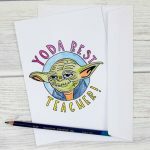 I print a lot of my pages on standard copier paper and if you have good quality art supplies then that is fine, however, if you are planning on framing or keeping your artwork then it would be better to print on a higher quality of paper. 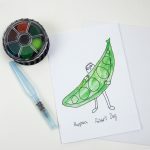 Or if you plan on painting them, then you can print onto inkjet watercolour paper (UK Link/US Link). For standard colouring get some bleed proof paper and use it to print off your pages (UK Link/US Link). You need to have a good quality pencil sharpener for your pencils. I LOVE my standard office supplies one. It can be adjusted to sharpen to a killer point or to a more blunt edge and there is something therapeutic about the crank handle and all the shavings being collected (UK Link/US Link)! We use a Staedtler pencil sharpener for our on the go one and this is the one we keep in pencil cases (UK Link/US Link).The other must have for me is a clipboard. I am often found colouring in downstairs on the sofa on an evening (I try to reduce screens on a night) and rather than rest on a book I use a clipboard (UK Link/US Link). AH this is super cute! Thank you! 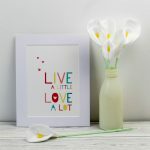 Hand made is always best, I love the things the children have made SO much more than anything they could buy in a shop.